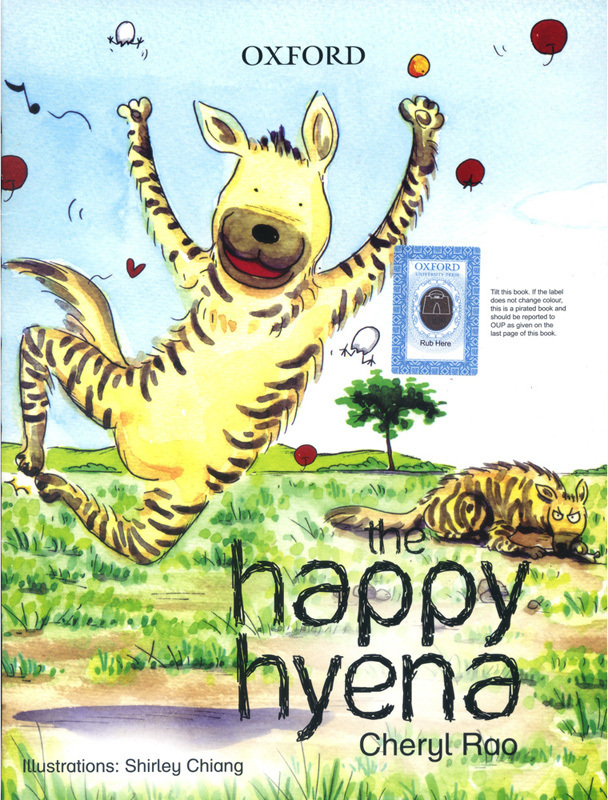 'Meet the Happy Hyena who is different from other hyenas. 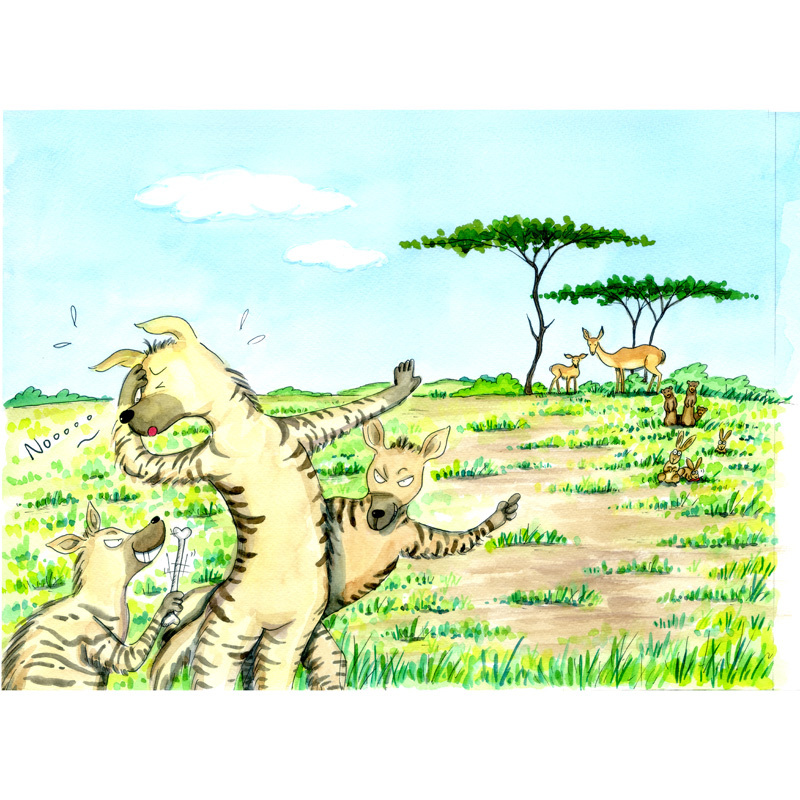 The cheerful fellow feels awful when other hyenas make fun of him for not eating meat'. 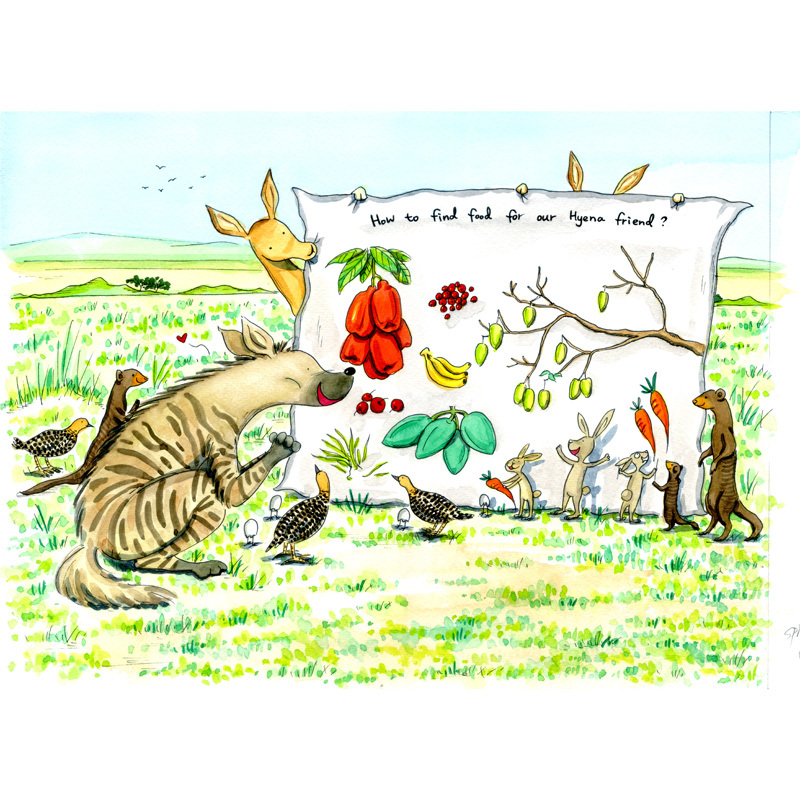 I've really enjoyed illustrating this cute story. 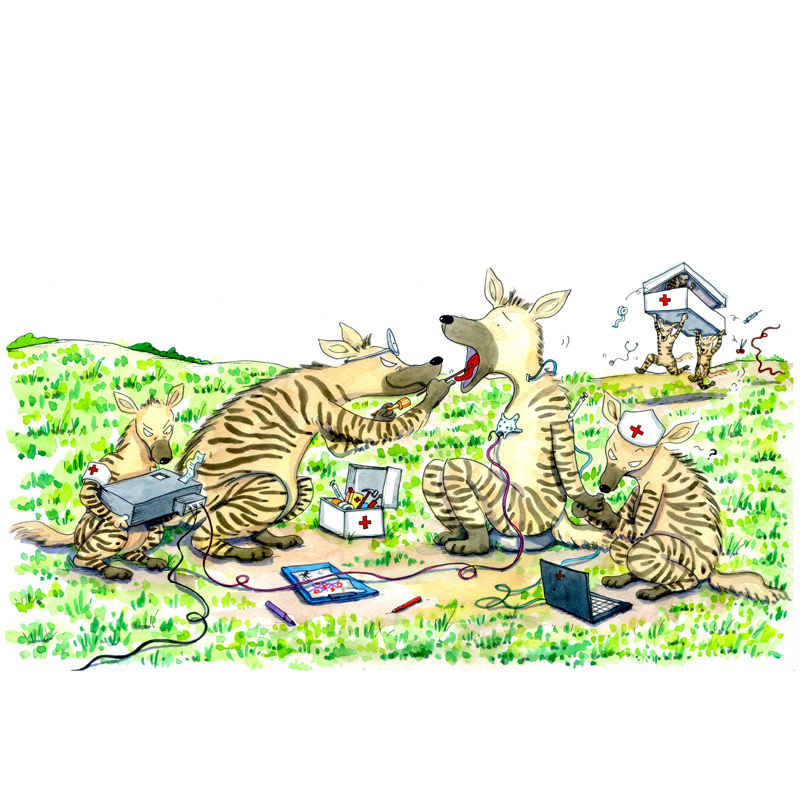 It was my first time to draw hyenas. Very good fun to visualise them in a humorous way. 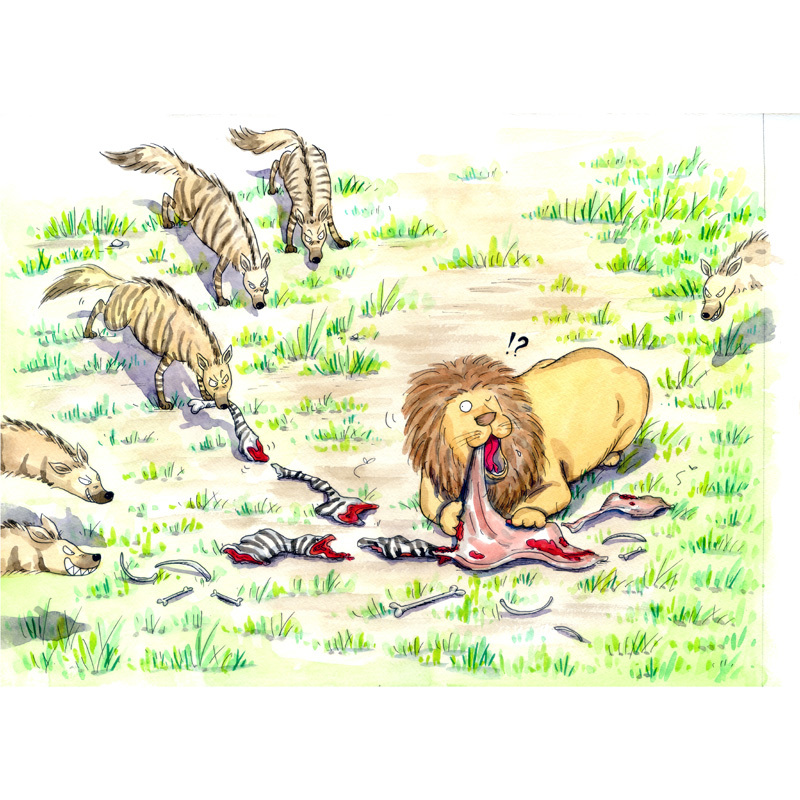 Loved the scene when other hyenas checking the Happy Hyena to see if there's anything wrong with him.